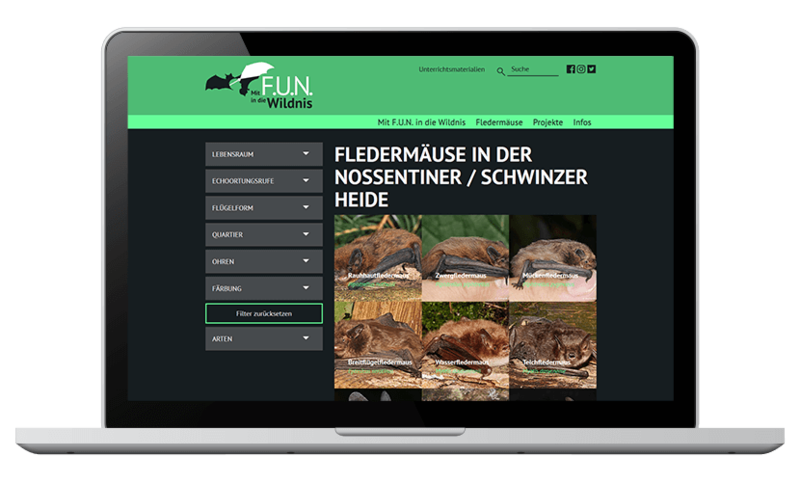 A comprehensive web portal for research, environmental education and practical nature conservation using the example of bats from the Nossentiner/Schwinzer Heide nature park. The key focus of the “Mit F.U.N. in die Wildnis!” (“F.U.N. in the wild!”) citizen science project is having fun while learning. 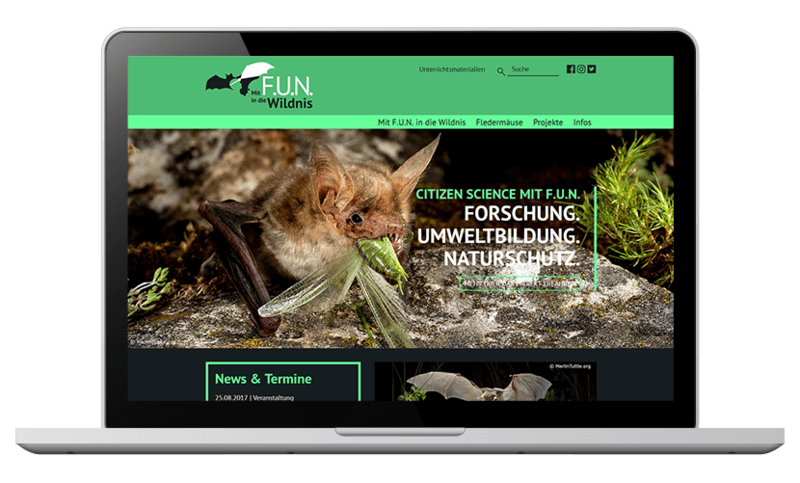 The TYPO3-based project website created by psbrands, www.fledermausfun.de , is aimed at everyone who is enthusiastic about bats and nature conservation research. From schoolchildren to scientists. 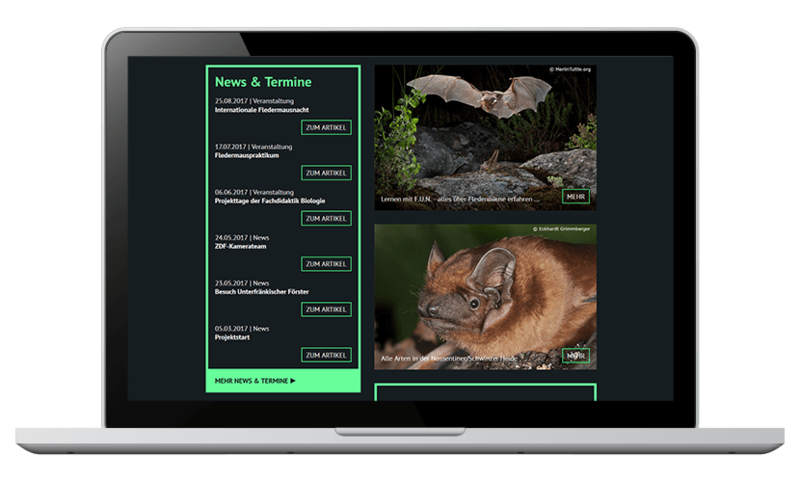 Including a central species database and interactive identification key for bats and a wide range of educational and teaching materials. Interested visitors can even carry out their own scientific projects and conduct analyses of the available bat data.